Travel back to the time of Ancient Greece and experience one of the greatest myths ever told, Perseus and Medusa. Play as noble prince Perseus, as he must track down the monstrous Gorgon Medusa and kill her, otherwise his mother shall be enslaved to an evil king! Call upon the gods, survive against the harsh elements and travel across the beautiful vistas of Ancient Greece, before finally facing off against the monster in Medusa's Lair! As you make your way though this thrilling tale, you'll learn about the history, culture and mythology of Ancient Greece. Inspired by the heroism of ancient mythology, "Heroes and Monsters" is dedicated to excellent storytelling, meshed with pick-up-and-play gameplay and includes an educational aspect to help develop young minds, while hopefully having something interesting for the older minds as well. 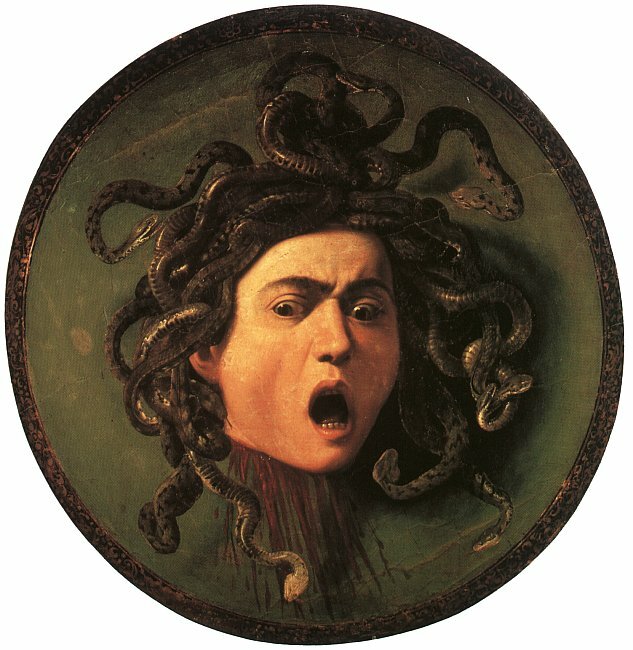 Picture: "Medusa" (in Italian, "Testa di Medusa") by Caravaggio, 1597.